Stereo systems come in a wide variety of designs, features, and prices, but they all have three things in common: Speakers (two for stereo sound, more for surround sound or home theater), a Receiver (a combination of an amplifier with an AM/FM tuner) and a source (CD or DVD player, a turntable, or another music source). You can purchase each component separately or in a pre-packaged system. When purchased in a system you can be sure that all the components are well matched and will work together; when purchased separately you can pick and choose the performance and convenience features that are closest to your needs. How often will you listen? Is it for background music or critical listening? Will anyone else in your family use it, and how? Which is most important – sticking to your budget or the best sound quality? How will you use the system? Music, TV sound, movies, video games, etc? To set a budget, consider how important it is to you and your family, and then determine a budget range. If you savor the thrill of movies, music, and games, consider separate audio components. It’s a good investment that will bring many hours of enjoyment and justifies a larger budget. If it is less important to you, consider a more moderately priced all-in-one system. 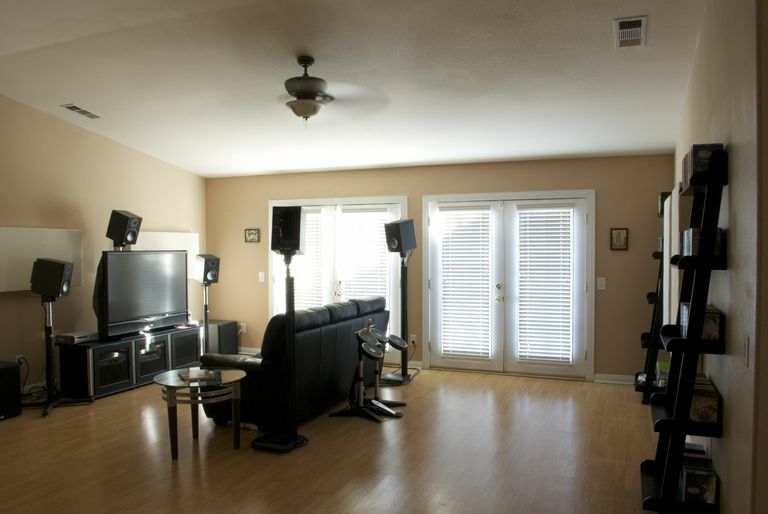 With careful planning, it can be easy to build a home stereo system on a tight budget. Systems often start around $500 while separate components usually cost more, up to as much as you want to spend. Whatever your decision, you can be certain there is a system that will meet your wants, needs and your budget. There are many places to shop, including big-box retailers, audio specialists, and custom installers. Compare products, service, and prices among three stores before you buy. If you need an audio consultant, consider a specialist or a custom installer. Generally, these merchants sell the best brands, offer the best demonstration facilities, have the most knowledgeable staff and offer installation. Big-box retailers offer the broadest selection of products at competitive prices, but you may have to search for an experienced salesperson. Many also offer installation services. The Internet is a good place to research products and features and in some cases make a purchase. Some websites offer the lowest prices because of lower overhead costs. However, with a major purchase, you may prefer to see, touch, and hear the product first. Exchanges or upgrades can be more difficult if you buy online. Purchasing online should be considered if you’re certain that you know what you want and need. However, be cautious about buying online – some manufacturers void your warranty if you buy their products from unauthorized websites while others allow direct purchases from online stores. Unless you’re buying a pre-packaged system, selecting separate components should begin with the speakers. Speakers are the most important factor for sound quality and they determine the amount of amplifier power you will need. Compare and select speakers based on your personal listening preferences by taking a few familiar music discs with you. Listen and compare the sound qualities of each speaker. You don’t have to know a lot about speakers to know what you like. Most printed specifications mean little when comparing speakers. An experienced salesperson should ask these questions and others and recommend solutions based on your answers. If not, shop elsewhere. How large is your room and where will you put the speakers and the system? Will you listen at low to moderate levels or do you like it really loud? Do the speakers need to match the room decor? Is this your first system or are you upgrading a system? You know what you want and need, you've done some research and you've been shopping, so what's left? Making a purchase. Here are three questions you should ask yourself when making a major purchasing decision: Do I like the product enough to justify the purchase price? Did I receive good service from the merchant and the salespeople? How easy (or difficult) will it be to return it or exchange it if I don't like it? Answer those questions and your choice should be simple.